As the warehouse door cranked upward last Friday night, a queue formed along an Urban Oasis lounge and 1599 Tennessee pulsed with music, lights, art, and excitement for yet another cultural event unlike any other. Crowd favorite, Dolores de Sade, came from the UK making a slight break from her Palm Springs vacation to exhibit at Small Works with a beautiful series of delicately detailed landscape drawings and prints looking at landscape as a series of temporary borders. 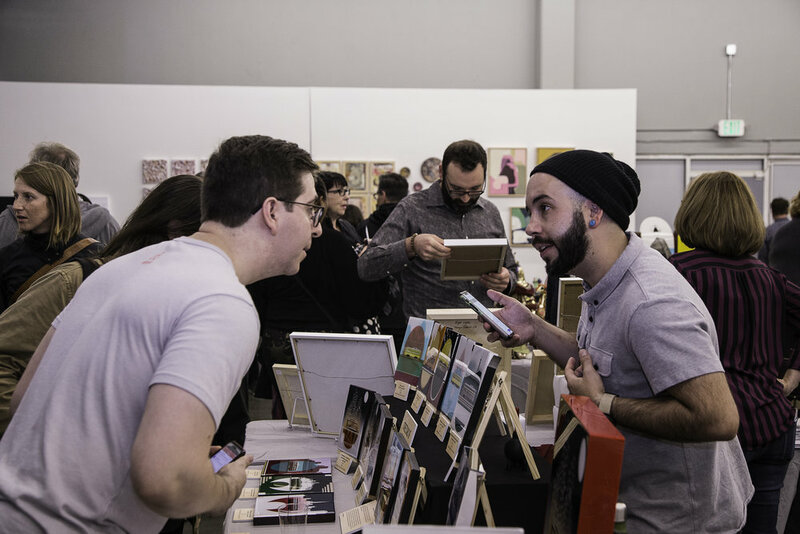 Local exhibiting artists Mike Sanchez (above left) and Beth Waldman (above right) enjoyed selling to a new audience including young couples in tech looking to fill the walls of their new homes. 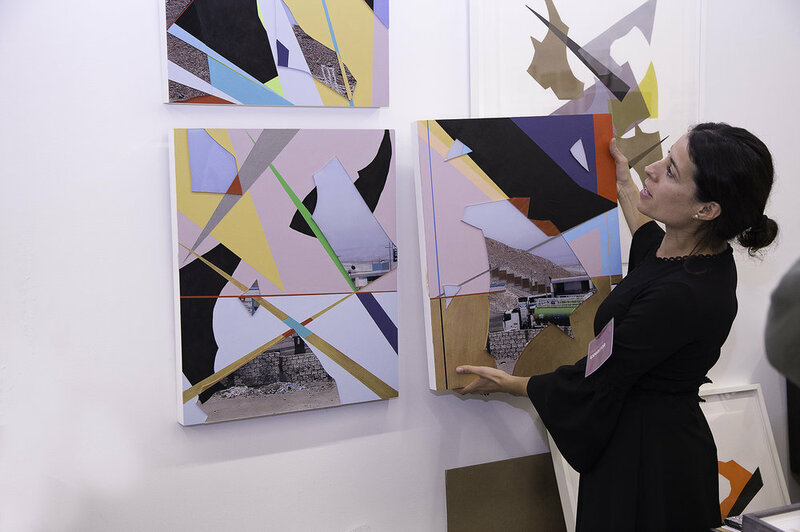 Beth created these digital media and painting works at a Playa Institute residency in the desert of Oregon’s Big Basin and debuted them here. 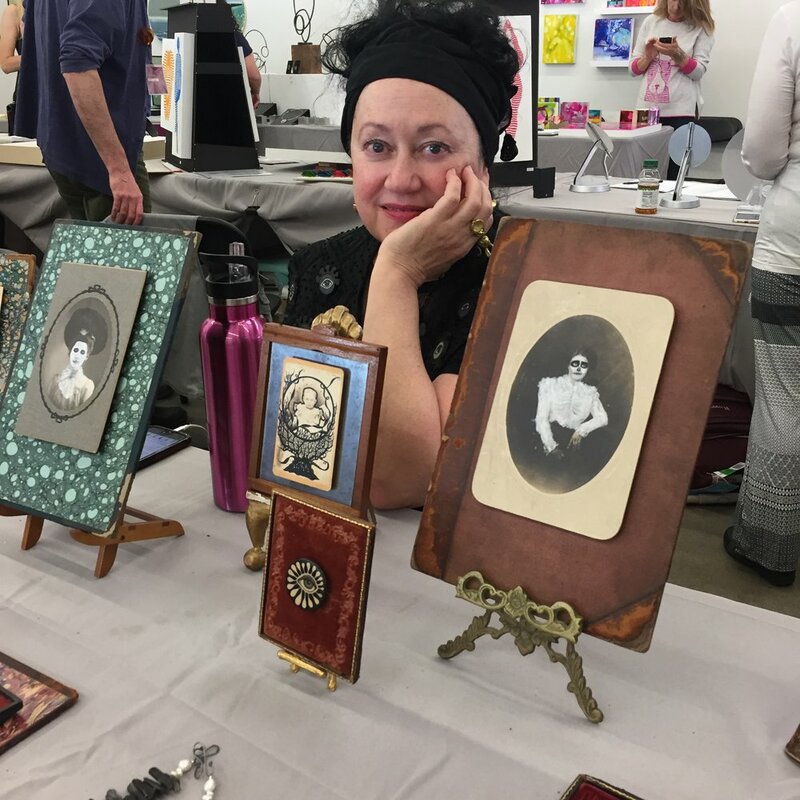 Prolific artist, Karen Olsen-Dunn, created an unabashed body of paintings just for Small Works pre-selling several pieces on Instagram! She showed up with several red dots already in place and enjoyed even more success this weekend. Dan Lythcott-Haims enjoyed success with his latest ‘Wood + Rust’ sculptures, which he presented for the first time at Small Works. The pieces elevate rusted industrial parts to form by encasing them within concisely constructed maple frames. 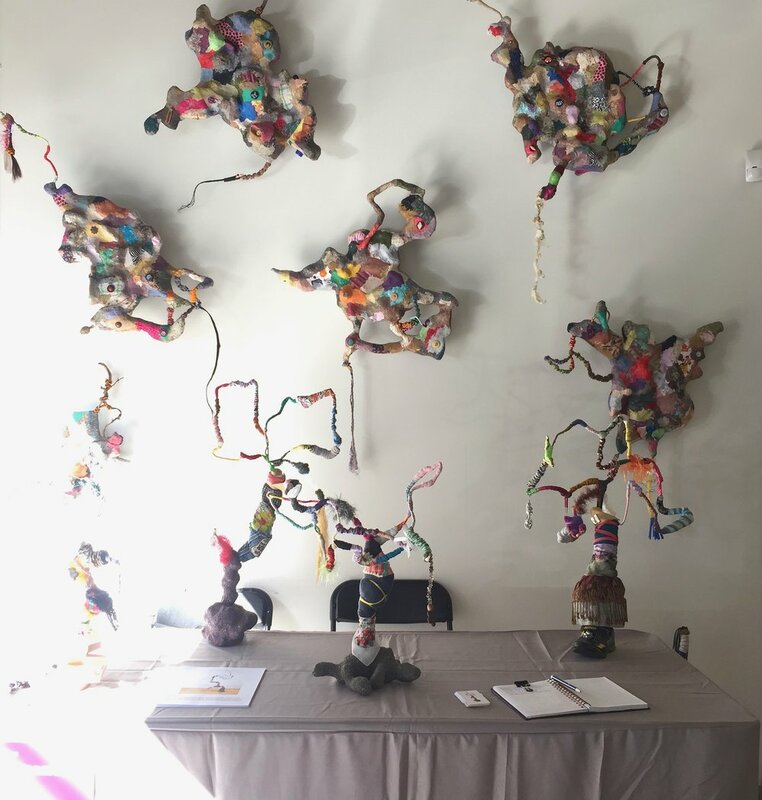 …while LA-based Lynda Keeler's textural objects and sculptures (above), inspired by Salvation Mountain near the Salton Sea, were on display along with colorful abstracted map paintings. 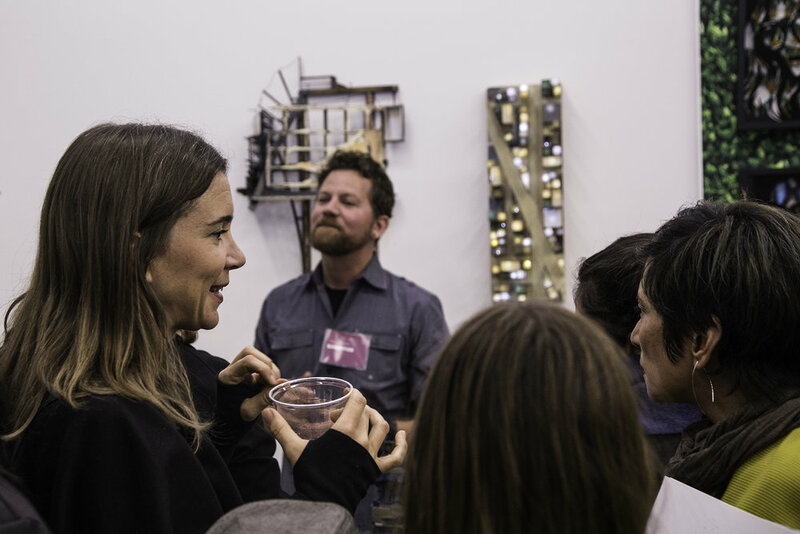 (Top) Jamie Banes, Gina Herrera (lower left), and Matthew Floriani (lower right) all captured collectors looking for wall-mounted sculptures and works in unexpected materials. 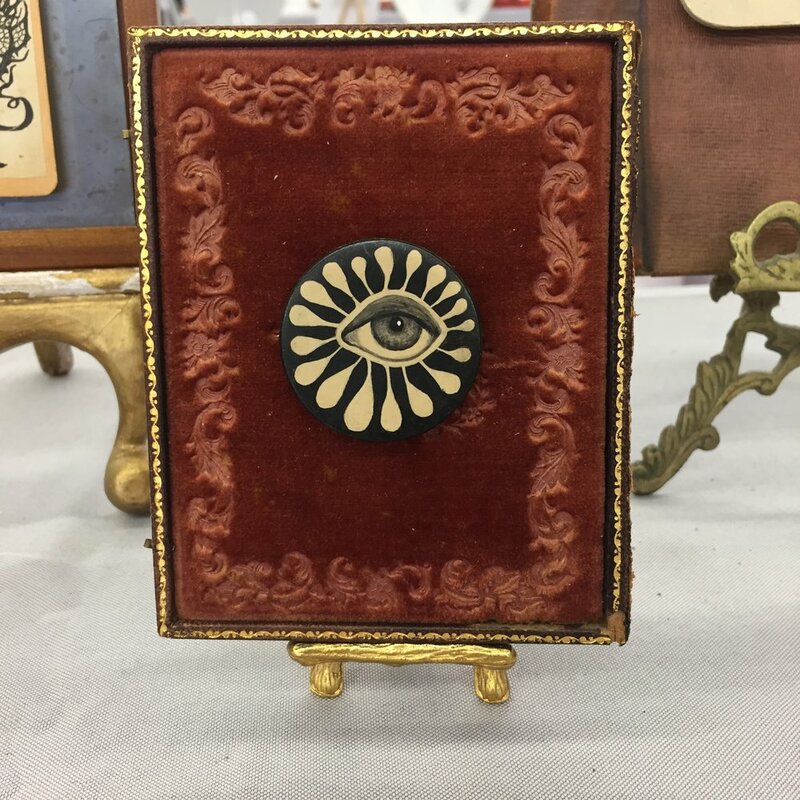 Another top seller for the weekend, Dani Arrecis/Sicerra pushed her signature assemblage sunglass portraits even further adding geometric and abstract forms of ethically sourced butterflies to her offerings. We could go on and on about this but, go see more for yourself on our Small Works page before we take this fair down from the website. 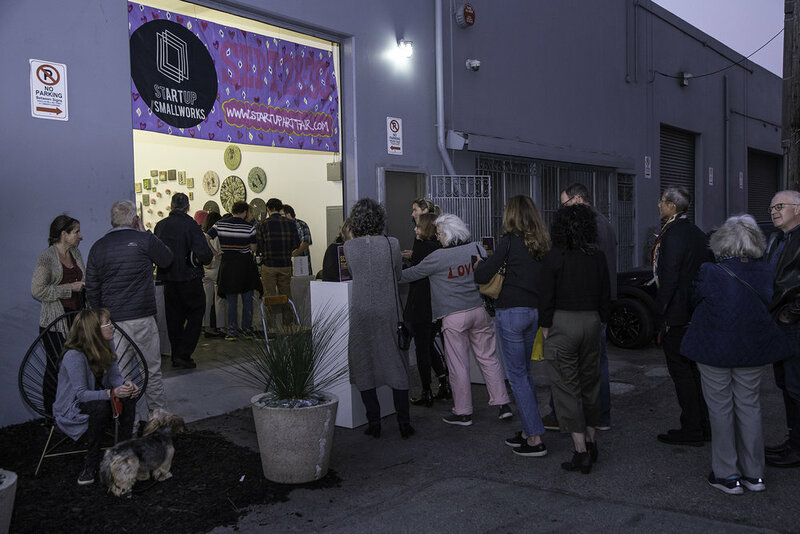 And while you’re there, check out details for exhibiting artist applications and stARtup LA coming to Venice Beach. Big thanks to a stellar line up of exhibiting artists as well as Urban Farm Girls and Galanter & Jones for creating such an urban chic lounge, to Raff Distillerie for serving a fantastic tasting of premium Gin, Absinthe and Rhum, to Von Holt Wines for donating delicious pourings of Pinot Noir for opening night, and to delicious Aunty Vicky's and the incomparable Bartender Truck for their food and beverage service. 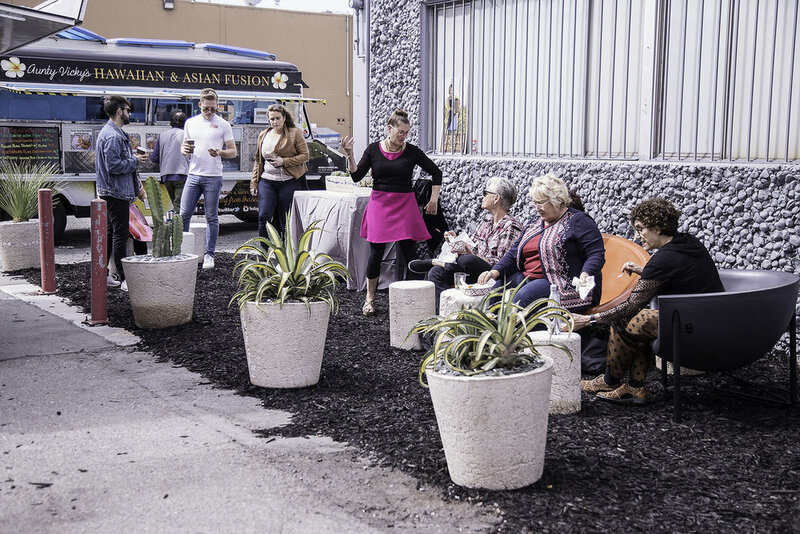 We appreciate you all, and our Advisory Council, for making this small event such a big success. We'll see you next year. 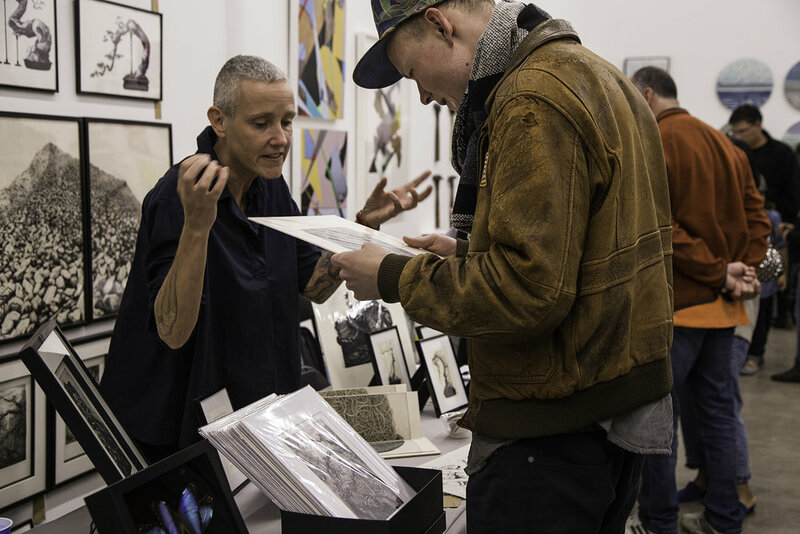 Sign up for the newsletter and follow us on Instagram for more behind-the-scenes moments and details about our fairs, artists, and special exhibitions. 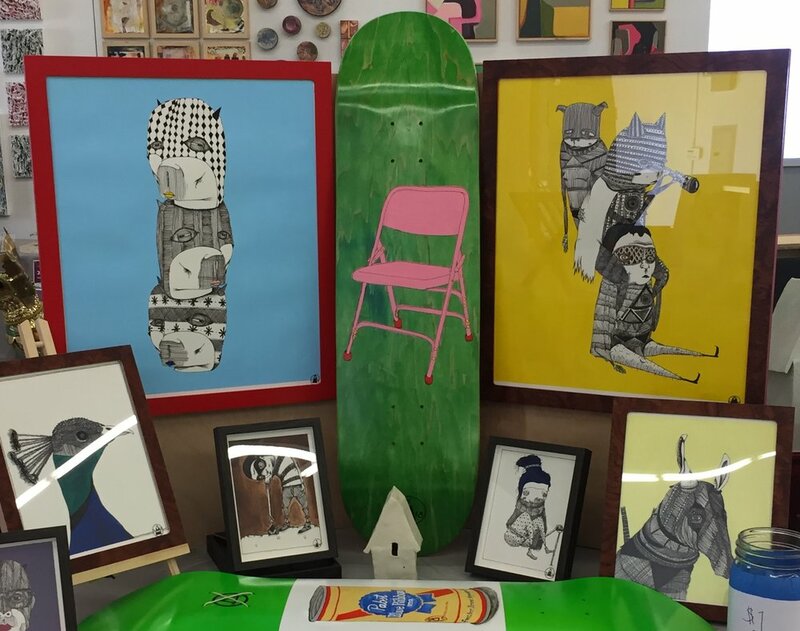 Why You Must See the New stARTup Exhibition at Jeff King & Co.